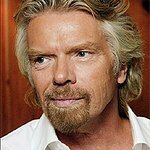 Sir Richard Branson has blogged his Top Ten quotes on change. “Everyone thinks of changing the world, but no one thinks of changing himself” – Leo Tolstoy. “A year from now you will wish you had started today” — Karen Lamb. “By changing nothing, nothing changes” – Tony Robbins. “It is not the strongest of the species that survive, nor the most intelligent, but the one most responsive to change” – Charles Darwin. To read the full Top Ten, click here.